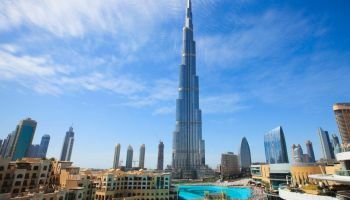 Tick a visit to the world's tallest building off your bucket list. An unmissable experience to view Dubai from the highest point or just take in the incomparable feat of engineering. Visit the Burj Khalifa . With around 1200 stores, this isn't merely the world's largest shopping mall, it’s a small city, with a giant ice rink and aquarium, a dinosaur skeleton, indoor theme parks and 150 food outlets. 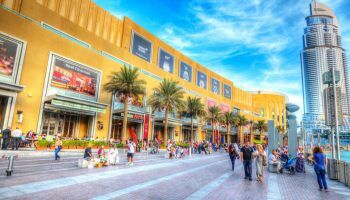 Visit the Dubai Mall . Get ready for some wild thrill at Wild Wadi Waterpark. With 30 rides for the whole family to experience, from a lazy river to scream-worthy slides. 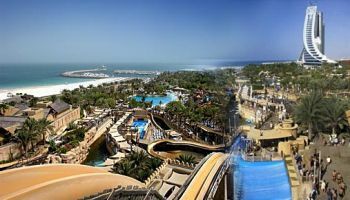 The waterpark is themed in an Arabian style. Visit Wild Wadi . La Perle is the region’s first resident entertainment show that combines world-class talent with one of the most technologically-advanced theatre productions in the world. Brought to Dubai by Al Habtoor Group and envisioned by the creative mind that reinvented modern performing arts, Franco Dragone, La Perle features a breathtaking fusion of artistic performance, creative imagery and ground-breaking technology. Discover the show . One of Dubai’s most attractive developments, Madinat Jumeirah is a contemporary interpretation of a traditional Arab village, complete with a souq and palm-fringed waterways. Visit for dinner, take a stroll around and visit one of many restaurants for all tastes. 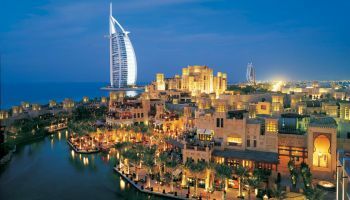 Visit Madinat Jumeirah . Experience Dubai's rich heritage and culture on an unmissable adventure into the desert. 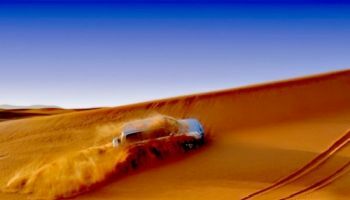 Tours begin with a 4x4 tour where you'll experience the thrill of dune bashing. 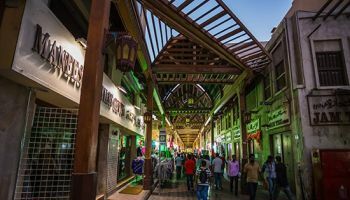 Then experience a number of traditional Middle Eastern activities such as henna tattooing, camel rides, sand boarding, a belly dancing show and traditional food. Book a Desert Safari . Get a shot of culture, history and fun. Visit textile, spice and gold souqs history. Uncover Dubai's history at the Dubai Museum and take a trip across the Dubai Creek on an Abra (traditional boat) for a bargain at AED 1. Visit Old Town . Who says you can’t go skiing in the desert? 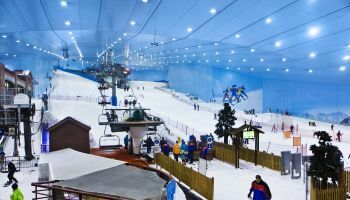 Visit the first indoor ski resort in the Middle East, complete with an amazing mountain-themed wintery setting. Enjoy Skiing, snowboarding, tobogganing, or just playing in the snow. Plus you can now meet and play with Ski Dubai's newest residents; the Snow Penguins! Visit Ski Dubai .